There are many reasons why someone may not have an improvement in mobility. Here is one not so obvious reason why your hip mobility isn’t improving. This is probably the most underappreciated reason why someone may not see an improvement in their hip mobility. Most people have a 2 femurs (thigh bone) and 2 acetabuli (hip sockets). Even though someone may have 2 doesn’t mean they are created equally when compared to someone else or even right versus left sides in the same person. The factors that we are referring to is the depth of someone’s acetabulum, the angle of their acetabulum, the angle of their femur, or the bony make-up of their femur. All of these factors can dictate someone’s ability to exhibit sufficient hip mobility, specifically hip internal and external rotation, hip flexion, or hip abduction. Someone can present with a “normal” hip structure and be able to externally and internally rotate their hips. Other people can present with “anteverted” or “retroverted” hips. Anteversion is where the person’s acetabulum is angled forward and retroversion is where the person’s acetabulum is angled backwards. 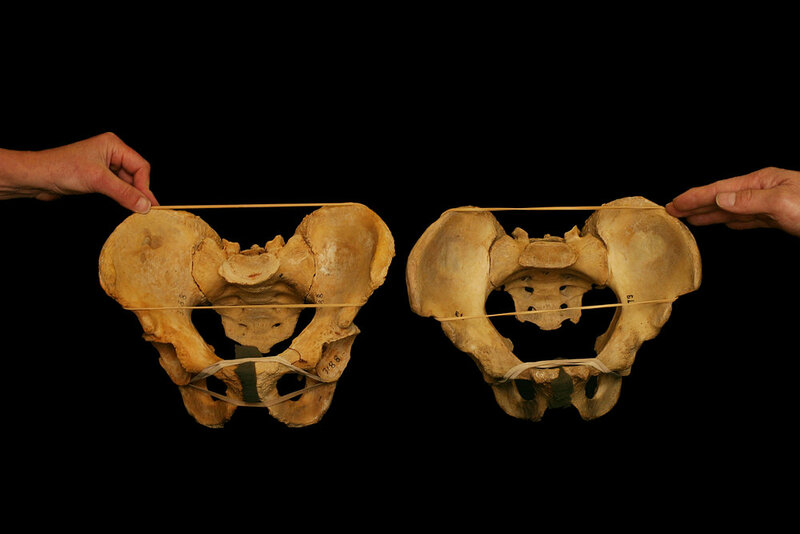 The pelvis on the left presents with anteverted acetabuli and the pelvis on the right is more neutral. Well, if you present with anteverted acetabuli or one anteverted acetabulum, due to the orientation of your acetabulum, you will have a greater degree of hip internal rotation and less of a degree of hip external rotation. 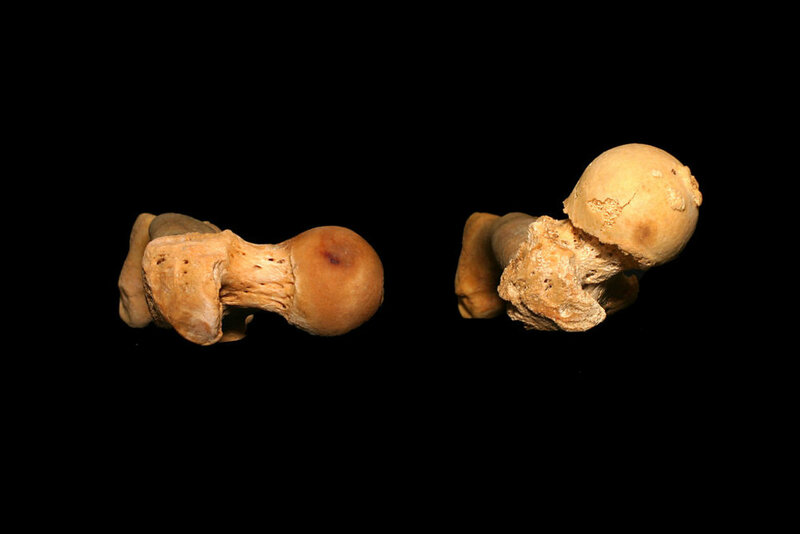 If you presented with retroverted acetabuli or one retroverted acetabulum, due to the orientation of your acetabulum, you will have a greater degree of hip external rotation and less of a degree of hip internal rotation. For the record, this is not something that can be changed. It is a bony structure that has developed over time and is not something that can be stretched, mobilized, etc. The Craig’s Test is a great way to determine if you have anteverted or retroverted hips. With this test, lie on your stomach. You will need someone to rotate your leg into hip external and internal rotation as shown. Palpate the greater trochanter on the outside of your hip. As the hip is rotated into hip external and internal rotation, gradually decrease the amount of hip internal and hip external rotation as shown. When you can feel the greater trochanter is the most prominent, measure the angle the tibia makes with a vertical line. If you are within 8-15 degrees, this is considered “normal” for the hip. If you are greater than 15 degrees of hip internal rotation when testing this, the hips are considered anteverted. If you are less than 8 degrees of hip internal rotation when testing this, the hips are considered retroverted. So, with this information, what does this all mean? It means that if your hips are retroverted, then you may present with limited hip internal rotation and increased hip external rotation due to your bony anatomy. So, squatting with a foot and lower extremity in hip external rotation may possibly work better for you. With the deadlift, you may be better suited performing a sumo deadlift. If your hips are anteverted, then you may present with limited hip external rotation and increased hip internal rotation due to your bony anatomy. So, with squatting, it may feel more comfortable and easier to squat with a stance where your feet are neutral or pointing straight ahead. With the deadlift, a conventional deadlift may feel like a better option. If you have been working on trying to improve your hip mobility and you haven’t been able to maintain it or it hasn’t been improving, make sure to have someone assess your hips to make sure you aren’t barking up the wrong tree and trying to improve something that you can’t improve. Make sure to check out Part II for other reasons why your hip mobility isn’t improving.